This paper considers the problems of the potential development of erosion processes in the natural landscapes of northern taiga in the Russian plain. It is considered that in forest ecosystems, erosion processes are slow and are weakly reflected in the terrain. However, the situation changes radically if the vegetation cover integrity is violated, which is inevitable with the modern methods of developing northern territories. Furthermore, global changes in average annual temperatures and the occurrence of karst processes may be the reason behind the development of erosion processes. The authors suggest a method for determining territories with a varying occurrence probability of erosional processes, based on digital elevation modelling. The territory of the Pinezhsky Nature Reserve (Arkhangelsk region) was chosen as the test plot. Direct field studies were previously used to detect exogenous geological processes in this territory. 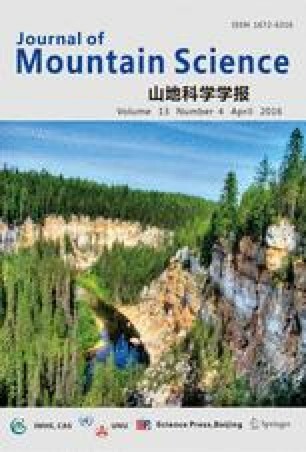 The authors were the first to suggest digital elevation modelling as a method that allows determining the potential danger of erosion in karst landscapes of the northern taiga. The geomorphometric studies resulted in the determination of areas with the greatest and lowest occurrence probability of erosion processes in the Pinezhsky Nature Reserve. It was established that the most significant erosion type was linear erosion, represented by incised river valleys and karst ravines. Sheet erosion is less significant and occurs as sinkholes, local declines, and chasms over the valleys of subterranean rivers.